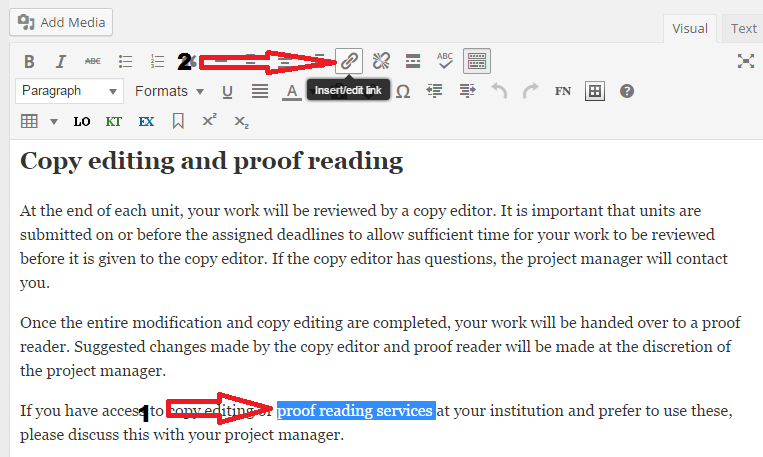 Let’s begin with the simplest method first: linking text from Pressbooks to an external source. Be sure to save (Update) this page. Note: be sure that your URL includes http:// at the beginning of the address. If the address you’re copying into the URL field already includes http://, make sure the final address does not have two http://‘s. And click on the link as it appears in Book view (what readers will see). To link text to other text or even an image within a chapter or Page, you begin by adding an anchor. Then click on the anchor icon (in the third line of the tool bar). 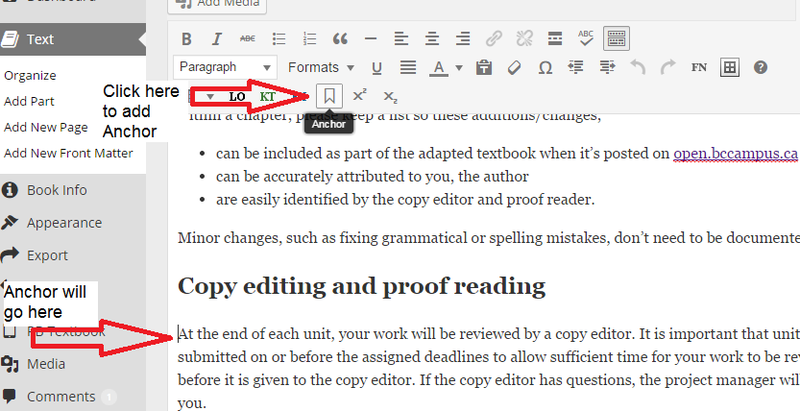 Enter a word to describe your anchor (e.g., proofreading) in the Name field that appears and click the OK button. This action will produce an anchor. The anchor and linked text will be on different chapters (Pages). Set these up as you would when linking text within a chapter. You must identify the URL for the chapter that contains the anchor. 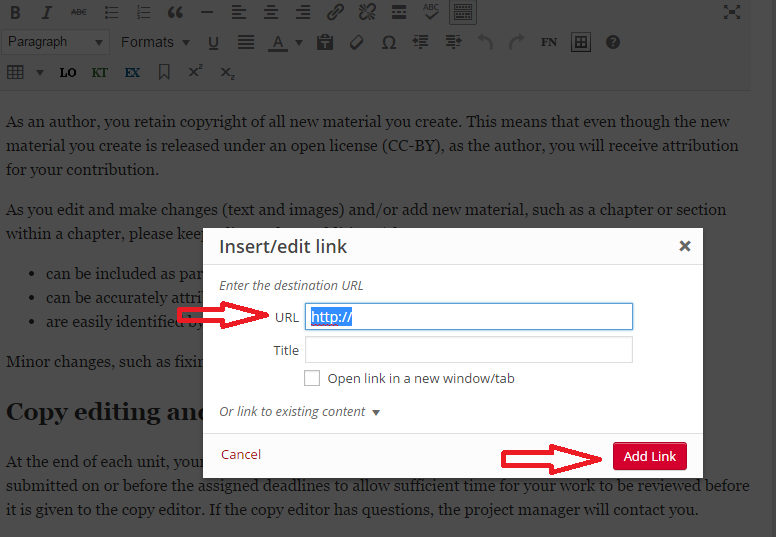 You must enter both the URL of the chapter (Page) additional information when the “Insert/edit link” (paperclip) icon opens. Linking Material by BCcampus is licensed under a Creative Commons Attribution 4.0 International License, except where otherwise noted.